Velmo / Nordaap - Velmo Motoren GMbH., Hamburg, Germany. 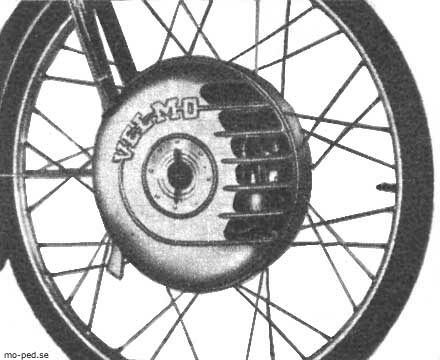 Velmo / Nordkap - Velmo Motoren GMbH., Hamburg, Germany. VELMO heter en ny tysk cykel motor som till våren introduceras i Sverige. Hela motoraggregatet är inbyggt i framhjulet. Motorn är tvåväxlad har hårdförkromat cylinderlopp och ger vid 4000 v/min 0,8 hästkrafter. Velmo / Nordaap - Velmo - Motoren GmbH., Hamburg. Germany - Continental Motors, Malmö / Förenade Motor, Malmö. 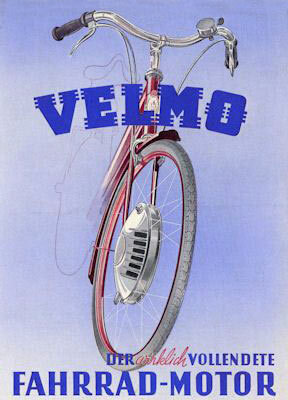 1951 VELMO Info - picture Mr. Joost H. Holland. it was a complete engine, including fuel tank integrated in the front wheel hub. According to Manfred Nabinger, writer of a book on German cycle engines, it is assumed that the series production of this engine started one year later by the Nordapp Kraftfahrzeuge GmbH in Ladeburg am Neckar. 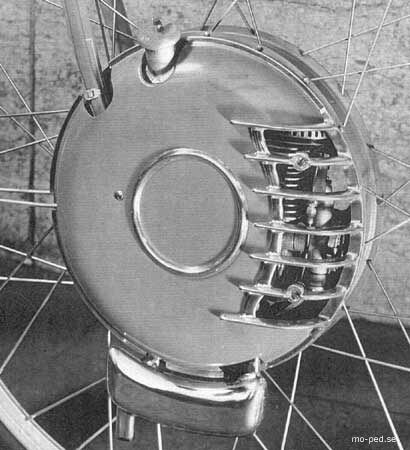 Difference to the model showed on the IFMA were another name, "Nordapp", and the fact that the fuel tank was now mounted outside the wheel hub. 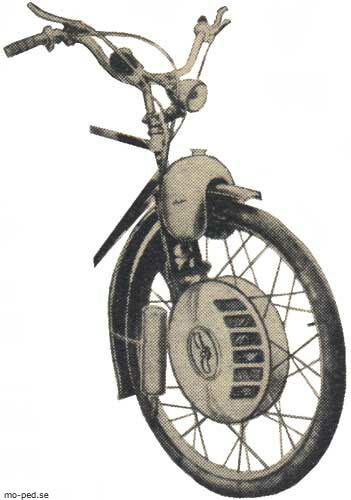 First as cylinder shaped tank in front of the steering head, later as a kind of saddle over the front wheel. The only difference between the Nordapp and the Velmo showed on this web site is the name on the wheel cover. In Germany they were sold as Nordapp, abroad as Velmo. Thanks for info - picture Mr. Joost H.
ENASTÅENDE TILLFÄLLE som aldrig återkommer ! Från Tyskland har vi inköpt ett parti VELMO mopedmotorer (provkörda). Fullt kompletta med gas- frikopplingshandtag. Ni kan själv montera motorhjulet på 15 min, med hjälp av skruvmejsel och skiftnyckel. Komplett reservdelslager garanteras i minst 10år. 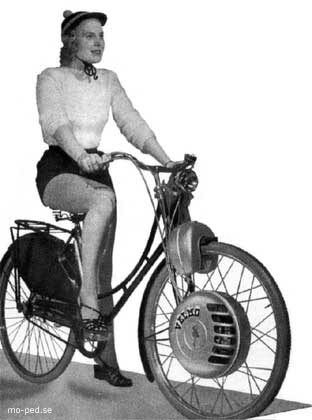 The separate help engines had no chance in competition with special built mopeds, therefore you could make a bargain to purchase one now. 95 SKr for a VELMO!